Ashley Freeman, a beautiful, bright art student, had what she thought was just a fling with Michael O’Connell, a blue-collar bad boy. But now, no amount of pleading or reasoning can discourage his phone calls, ardent e-mails, and constant, watchful gaze. For Michael’s brash, handsome features conceal a black and empty soul. Control is his religion and rage is his language. In desperation, Ashley turns to her divorced parents and her mother’s new partner – three people locked in a cold triangle of resentment. But their fierce devotion to Ashley is the common bond that will draw them together to face down a predator. For Ashley’s family, her ordeal is a test of primal love that will drive them to the extreme edge – and beyond – in a battle of wills that escalates into a life-or-death war to protect their own. Every politician has a secret. And when the daughter of a politically connected family is kidnapped abroad, America’s new president will agree to anything – even a deadly and ill-advised rescue plan – in order to keep his secret hidden. But when covert counterterrorism operative Scot Harvath is assigned to infiltrate one of the world’s most notorious prisons and free the man the kidnappers demand as ransom, he quickly learns that there is much more to the operation than anyone dares to admit. As the subterfuge is laid bare, Harvath must examine his own career of ruthlessly hunting down and killing terrorists and decide if he has what it takes to help one of the world’s worst go free. When the president of the United States is blackmailed into releasing five detainees from Guantanamo Bay, a sadistic assassin with a vendetta years in the making is reactivated. Suddenly, the people closest to counterterrorism operative Scot Harvath are being targeted and he realizes that somehow, somewhere he has left the wrong person alive. 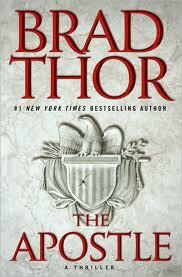 With his life plunged into absolute peril, and the president ordering him to stay out of the investigation, Harvath must mount his own covert plan for revenge – and in so doing will uncover shattering revelations about the organizations and the nation he has spent his life serving. June 632 A.D.: The prophet Mohammed shares a final and startling revelation. Within days he is assassinated. September 1789: Thomas Jefferson uncovers a conspiracy that could change the face of Islam. Present day: Men still kill to keep the secret hidden. When a car bomb explodes outside a Parisian cafe, counterterrorism operative Scot Harvath is thrust back into the life he has tried desperately to leave behind. In a race to uncover an ancient secret with the power to stop militant Islam, Harvath will risk everything to reclaim Mohammed’s final revelation and defeat one of the deadliest evils the world has ever known. And finally the LibraryThing Early Reviewer book that I received. I read this book immediately! Read my review here. After tragic events tear him away from his parents, fifteen-year-old Mickey Bolitar is sent to live with his estranged uncle Myron. For a while, it seems his train wreck of a life is finally improving – until his girlfriend, Ashley, goes missing without a trace. Unwilling to let another person he cares about walk out of his life, Mickey follows Ashley’s trail into a seedy underworld, revealing a conspiracy so shocking it will leave him questioning everything about the life he thought he knew. Wow! That is one thrill-packed mailbox! Enjoy! 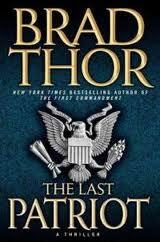 You’ll certainly get your fix for Brad Thor this week. Have a wonderful week, Tara, and enjoy your new reads! Gwendolyn – thanks. I’m a big thriller reader! I have the John Katzenbach book, Wrong Man, but haven’t read it yet. I’ve enjoyed his books in the past. Diane – I haven’t read any of his books yet, but this one sounded very interesting!